Expectations of Motherhood: I had wanted to be a mum since I was pretty much a child myself – but I’m not sure I’d spent that long actually imagining the reality of day to day life as a mum and the impact it would have on our lives once we were parents! Reality of Motherhood: Much better (and worse in certain moments!) than I could have imagined. And now I can’t imagine not being a mum. People had warned me that there are moments when you wish you had your old life back and when I was pregnant there seemed to be a fashion for articles in magazines and newspapers breaking the taboo and telling the world how much happier life was before kids. So I had an idea that there may be moments when I would long for life pre-baby. But in fact, even if objectively I can see that life was freer and easier before Joseph was around – the pleasure that it brings seeing him grow and develop and make us laugh makes it all worthwhile. Life is definitely more difficult, but its also much more rewarding. And it hasn’t happened over night, but Joe is one now and it just feels completely normal that he should be with me all day, every day. I still love my moments of escape from family life, but I love getting back to it even more. 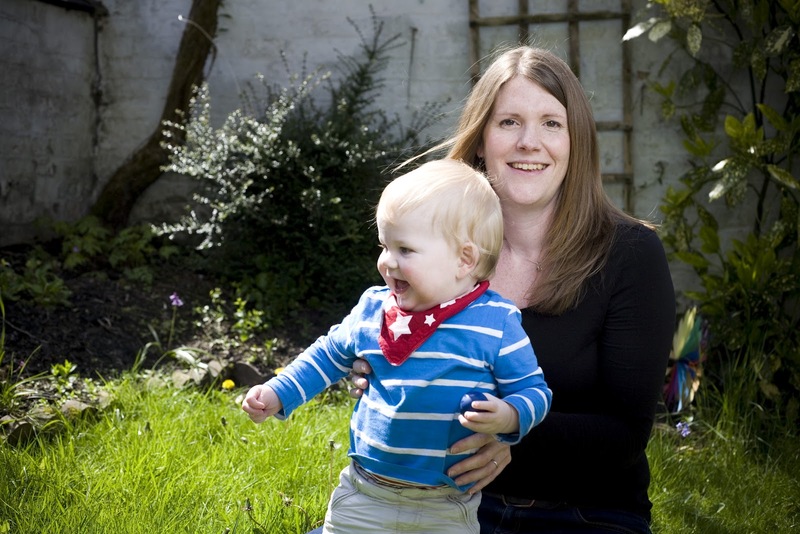 Taking your child home for the first time: I cried my eyes out when the midwife discharged me. I was so exhausted and couldn’t imagine how we could possibly be expected to look after this baby without their assistance. I remember bundling Joseph up, terrified that he would be cold (despite the fact it was June). I don’t really remember the first moments in the house, it feels like a sleepy blur. But I do remember how much nicer it was being home and doing the night feeds in my own bed. It was also reassuring that the midwives visited so often in the beginning. Then gradually I realised that it was getting to be a pain having to make sure I was in for their visits and I realised we were all going to manage this baby malarkey without daily midwife assistance! 1. It will all get easier after the first 3 months, just do your best to get through the early weeks. 2. Freeze lots of meals before the baby comes – that was a godsend. 3. Let sleeping babies lie! 1. ‘Cherish every moment’/’don’t wish time on, they grow up so fast’ – So far I have cherished the good bits, but was quite happy for the incessant crying and waking 5 times in a night to speed on by – on the whole I was pretty bloody pleased when the first 8 weeks had passed! 1.The relentlessness – you can’t decide just to take a day off or even an hour off in the early days. However, that has all changed now, Joseph is more and more of a pleasure and easier and easier and I can take a day to myself now with little problem. 2. The constant self questioning – am I doing this right? If he naps for too long now, will he be awake all night? If he watches telly will he grow up to be obese and stupid? If he doesn’t eat his tea, will he be awake all night hungry? Am I doing this right?? But again this gets easier and easier and I have learnt to trust my instincts much more and refer to books (and my sister for 30 minute telephone tutorials in sleep training) much less. The fun and excitement that he brings to day to day life. The early mornings are hard, but when he’s smiling and laughing as soon as the day begins, its pretty difficult to remain grumpy. 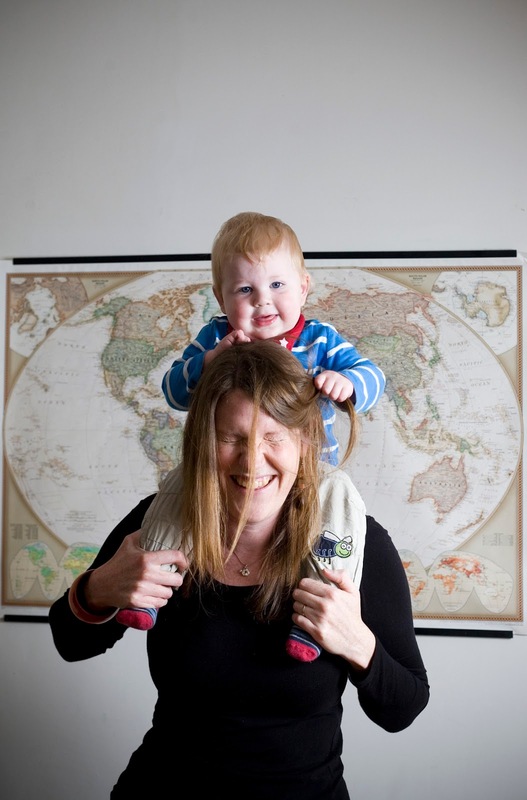 Its also lovely to have become a family and to have such a brilliant shared project(!) with Tom. I feel like having a baby has put the rest of life in perspective and I don’t fret about the details. I love being back at work and am much happier with life now that I have the balance of working and mumming, but I also find that work matters less and stresses me less, because it pales a bit in significance compared to the importance Joe has in my life. Hopes for your family: I hope we all stay well and happy and stick together through it all! What advice would you offer to new and expectant mums: In the early days, congratulate yourself at the end of each and every day – if you’ve all survived the day that’s a pretty big achievement in itself! Get yourself out and about as soon as you can, even if it feels like a big challenge, it gets so much easier once you meet other people and escape the comfort and safety of the sofa. Don’t worry too much about whether you’re doing it right or not (they’re reasonably hard to break) and don’t worry too much about getting into bad habits (letting the baby sleep on you all the time, always feeding them to sleep etc etc) any habit can be broken with a bit of work (and a few tears all round).